The Final Four of the 2018 Men’s Champions League has been set, with some of the top teams from across Europe set to compete for the prestigious crown. The finals will be hosted by Zenit Kazan, the reigning champions of the competition, in Russia. The Champions League has been overwhelmingly dominated by Russian teams, with Zenit Kazan looking to make it their fourth straight Champions League title. On top of that, the past six titles have been won by a Russian squad. Kazan has the tools to take the championship once again, flying through their pool play matches and earning the hosting rights to move straight into the Final Four. Sir Safety had a tough go-around in their final Playoffs 6 match, losing to Lokomotiv Novosibirsk in a five-set thriller. 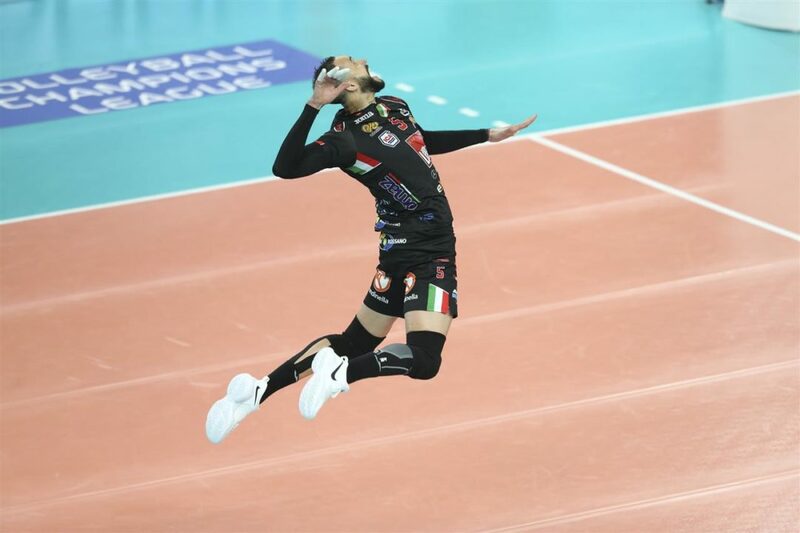 This, however, was not enough to propel a golden set for Lokomotiv, who lost the first round match in four – knocking them out of the tournament. Lokomotiv’s Sergey Savin led the team in scoring with 16 points while Luka Divis and Nikolay Pavlov recorded 13 and 12 points, respectively. In the all-Italian matchup of Cucine Lube and Trentino, Cucine Lube took the upper hand with the five-set win. Cucine Lube went up 2-0 in the match but let Trentino back into the game as they eventually forced the fifth set that extended into extra points. Leading the team in scoring was Osmany Juantorena and Jiri Kovar with 13 points each. “This was not an easy victory, thus we are happy and I want to congratulate the whole team on this success. We took to the court very focused without thinking about the victory we claimed in the previous match at home, putting our opponents under pressure from the very beginning. This allowed us to immediately secure the qualification for the Final Four in Kazan,” said Juantorena. Zaksa had no troubles taking the victory over Friedrichshafen to advance to the Final Four, sweeping their opponent and holding them under 20 points in each set. Maurice Torres led the scoring with 15 points while Sam Deroo and Lukasz Wisniewski posted 15 and 14 points, respectively.